One of the leading tour operators, Tour Associate.com is engaged in providing all sorts of solutions related to visa. We are operational from Delhi, India. We understand that immigration rules and regulations are complex and difficult to understand. 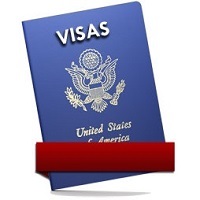 Thus, with our visa services, we strive hard to eliminate the challenges and frustration that are often associated with the visa application process. With honesty, impartiality, and integrity, we understand your requirements and guide you in adherence with the highest professional standards.